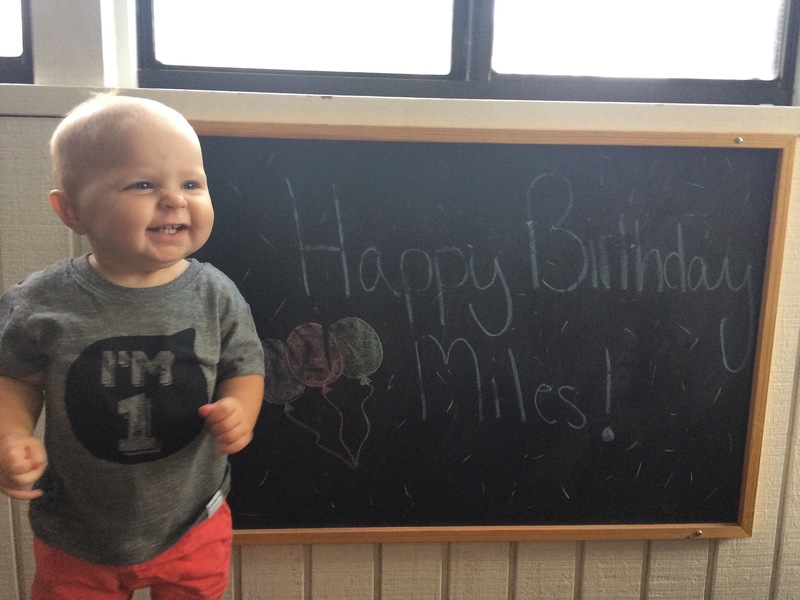 Well almost a week later, here I am finally posting about Miles’ birthday! Ryan and I both started new jobs which means I’m usually up by 5:30 every day trying to get work done before the boys wake up. Every day is a balancing act of getting my hours in and then taking care of my kids, my house, and all of my normal things I have to do. And on top of that, Ryan’s been working long hours too so it’s been a busy couple of weeks! 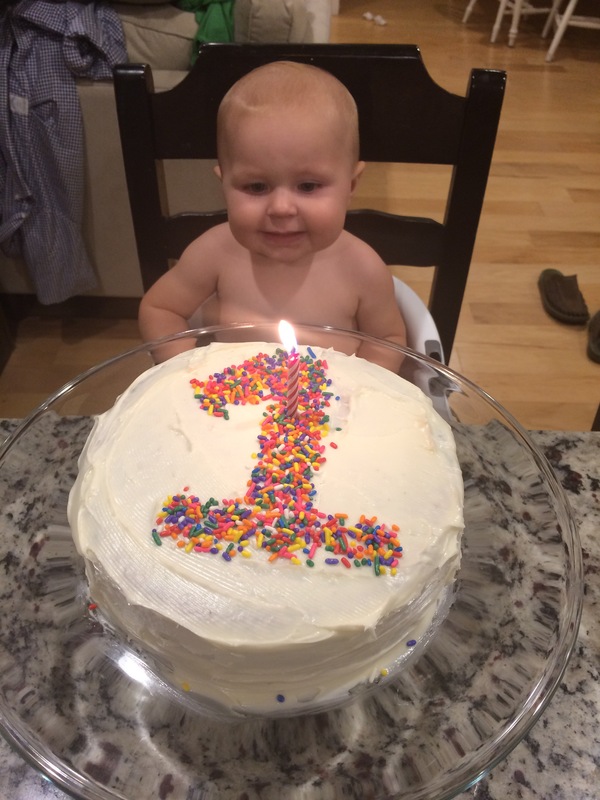 But of course we took time to celebrate our baby boy’s first birthday! His actual party is this Sunday so on his birthday it was just the four of us (+ Chance!) and it was kind of great. 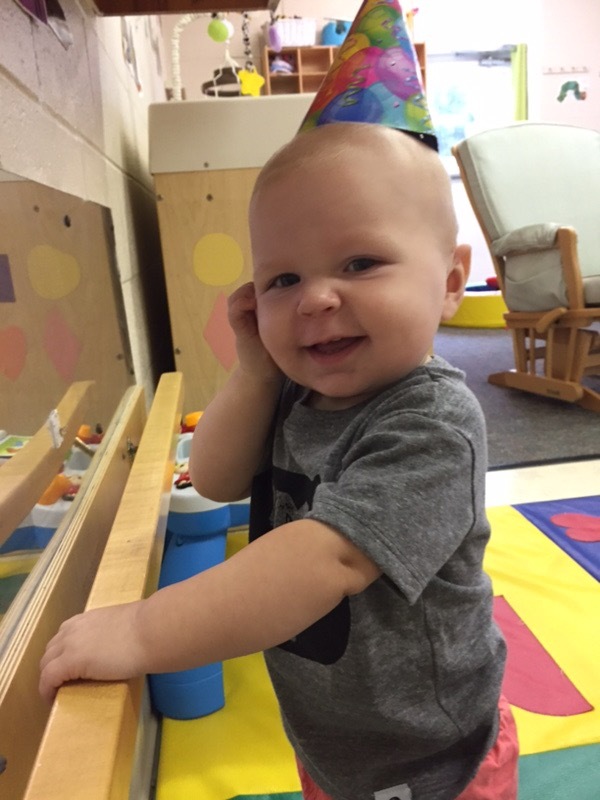 He had a great morning at school and came home to take a long birthday nap. 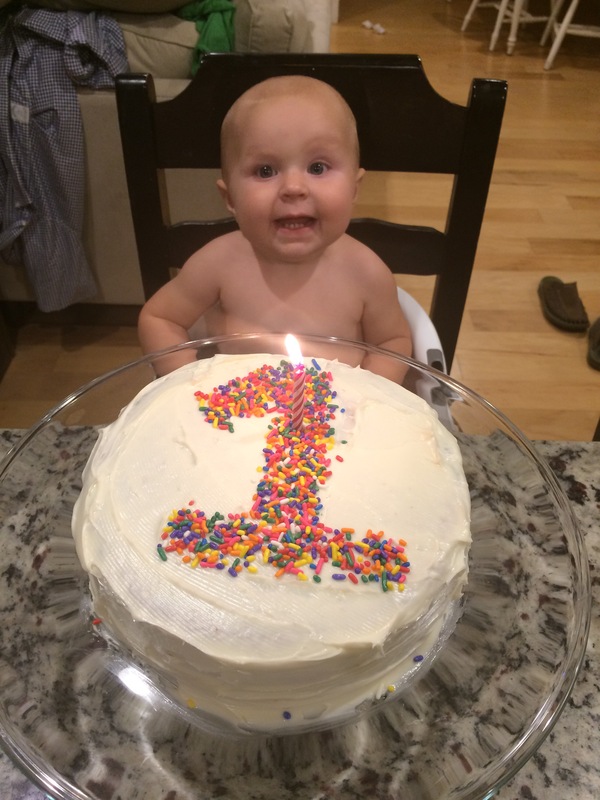 We ate pasta and meatballs (this kid seriously can’t eat enough meat!) 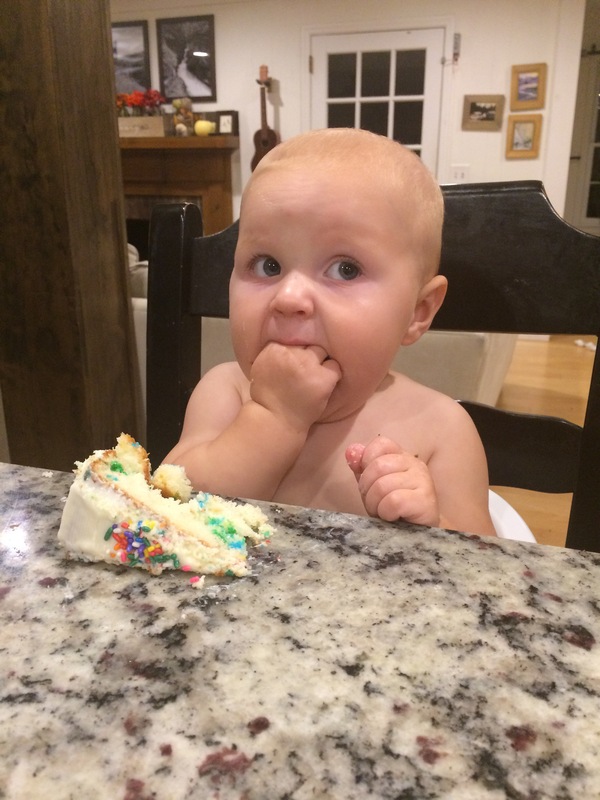 and let him dig into some cake. 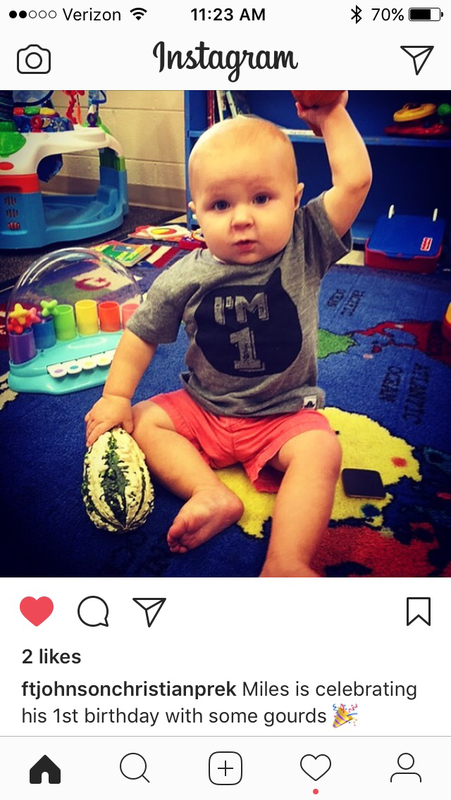 « Guess Who Is Turning 1!